If I Don’t Take Any Steps for Asset Protection Planning, Are All of My Assets Exposed to Creditors? Most people who have never engaged in the process of asset protection planning before may wait until it is too late to take appropriate action. Although it is certainly worthwhile to reach out to an asset protection planning attorney in the event that you are already exposed to a claim, there are limited things that an attorney can do as far as developing strategy to prevent this problem from escalating. The best time to visit someone to talk about asset protection planning is well in advance of a problem emerging. 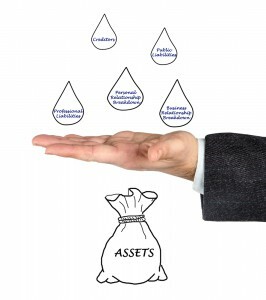 Many assets can be exposed to creditors but some are protected under federal laws. For instance, if you have an ERISA governed qualified retirement plan like a 401(k), these are essentially out of the reach of the creditors in all but a few limited circumstances. State laws may also protect certain assets like as his or her primary residence, but bear in mind that the level of protection will vary from one state to another. The majority of states will also protect individual retirement accounts but not all states will offer the same level of protection to Roth IRAs. Many individuals will carry life insurance policies as an additional way to pass on assets to future beneficiaries. Meeting with an asset protection planning attorney and discussing all of your options is the best way to determine whether or not you have a comprehensive asset protection planning strategy already set up. Set up a meeting today to talk over your options by reaching out to info@lawesq.net.